When you’re navigating dietary restrictions, things can get complicated. This cauliflower sauce recipe uncomplicates things. 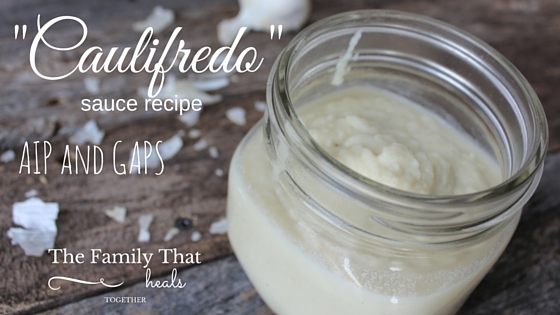 It’s dairy-free, egg-free, gluten- and grain-free, and suitable for paleo, GAPS, and AIP diets. Who would’ve thought cauliflower would end up being the darling of paleo kitchen everywhere? 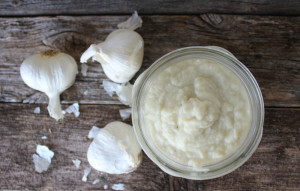 It turns out it’s super versatile and can be used to make all sorts of things, from pizza crust to “rice” and even this cauliflower sauce recipe, which I use frequently in my kitchen in all sorts of dishes. We’ve gone through our fair share of dairy-free phases, and when we do, it’s nice to have some substitutes for some our favorite foods. 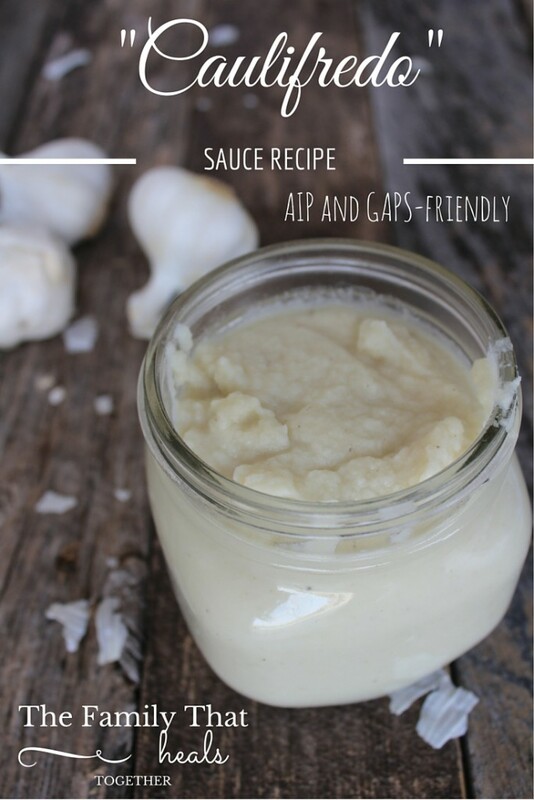 This cauliflower sauce recipe works well on pizza or spaghetti squash “pasta.” Feel free to add butter if you can tolerate it for awesome flavor and creamy texture. Fresh or dried Italian herbs (oregano, thyme, basil) work well as an addition for a pizza sauce as well. In a medium saucepan, combine all ingredients and simmer for 10-15 minutes, until cauliflower and garlic are tender. Remove from heat and blend with an immersion blender like this or transfer to a blender and blend until smooth. We really love it because it’s so versatile. I use it as a sauce in spaghetti squash chicken spaghetti and in chicken broccoli alfredo, as well as on these pizzettes for a dairy and nightshade-free option. The best part is that it’s another tasty way to get in more veggies! 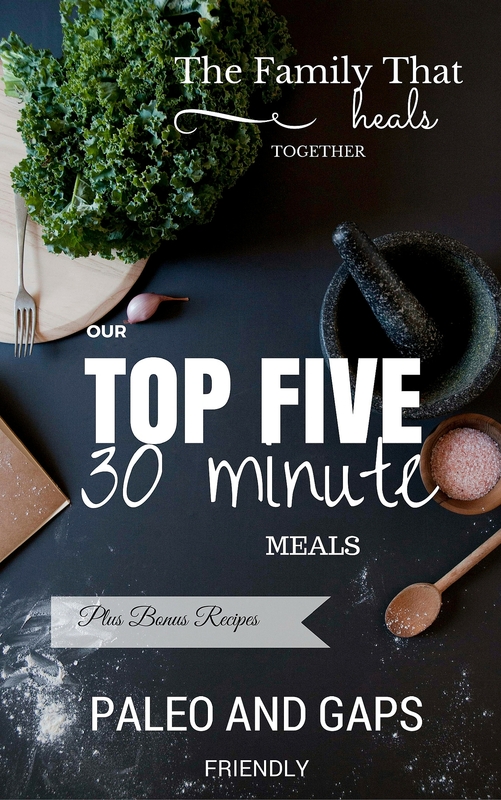 THIS IS SO GREAT, I LOVE YOUR RECIPES!.